Adolphe and Edouard-Jean Cointreau, famous master confectioners, establish a distillery in Angers to create spirits using local fruits. Edouard Cointreau, son of Edouard-Jean, distilled a spirit from sweet and bitter orange peel, with a highly crystalline robe, which was a major novelty for the time. He also invented the square-sided amber-colored container, the modern version of which still remains the signature of Cointreau liqueur to this day. Creation of the Pierrot character – which became the symbolic image of the brand – by famous poster artist Nicolas Tamago (after a photograph by Nadar). Just three years after the invention of motion pictures Edouard Cointreau launches the first advertising film, featuring the famous Pierrot. 800,000 bottles of Cointreau are solt per year. Cointreau opens its first branches around Europe. The brand’s success is growing, reaching as far as the United States, Canada and Latin America. Edouard’s sons, Louis and André Cointreau, succeed him at the head of the family business and invent the concept of the worldwide brand. This slogan was used on most of the brand’s poster campaigns across the globe. James Bond embodies the image of Cointreau in the adverts. Cointreau merges with Rémy Martin, the cognac distiller founded in 1724. The new company is listed on the Paris stock exchange and becomes a major player in the high-quality wines and spirits market. 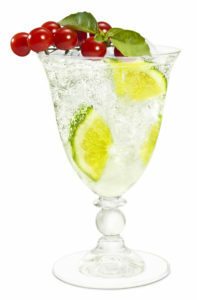 Voulez-vous Cointreau avec moi? was the leading question in Cointreau campaigns. 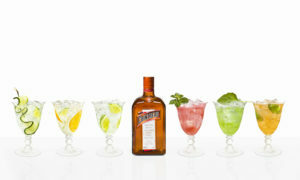 Cointreau inaugurates the “Be Cointreauversial” campaign. 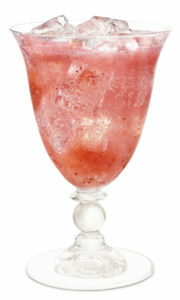 Only used outside France, it is aimed at women who express themselves, and choose whatever well-matched combinations they like when drinking Cointreau, as a cocktail or on the rocks, without worrying what otherpeople think. it’s found in all the right places. 2005Cointreau launches the Cointreaupolitan, the hip accessory for Parisianafter-works drinks. At premiers, private viewings, inaugurations, it’s found in all the right places. Dita Von Teese became the Brand Ambassador. Dita Von Teese opens the first Cointreau Privé and ephemeral cocktail bar in the heart of Montmartre, Paris. 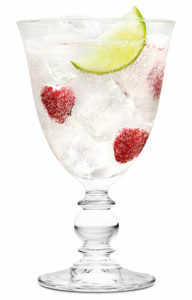 Cointreau, fresh lime juice and soda water, Cointreau fizz is a den of simple treasures that can be created in a flash. The only skill you need is an explosive imagination to spice it up, and then there are infinite possibilities! Chic and Easy! More than ever, Cointreau is a must-have in the world of cocktails, particularly with its brand new Cointreau Fizz and its sparkling extensions. Pierre Cointreau, Edouard’s grandson, unceasingly developed the brand until his death in 2011. Today, Pierre’s grandson Alfred Cointreau is a proud and passionate representative of the brand’s sixth generation.